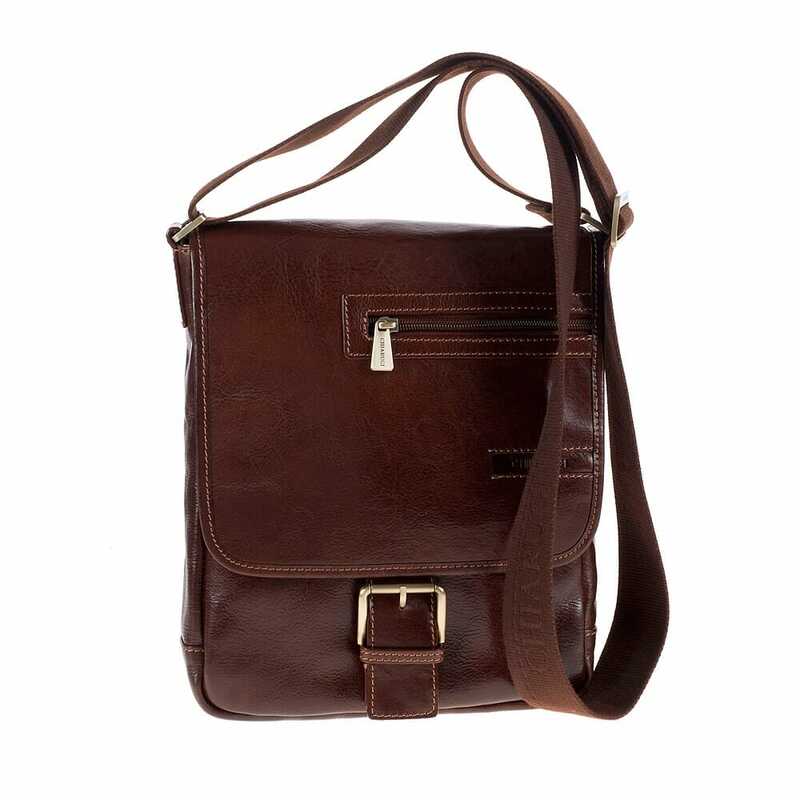 Pavese belongs to the classical men leather shoulder bags collection, it has an essential and elegant design, with flap coming down up to three-fourths of the front and a belt closure, what is peculiar though is the horizontal pocket on the side of the flap. Realized in a vegetable tanned full grain chestnut brown leather and tailored according to the traditional leather processing system of the Leather District in Tuscany, it is comfortably wearable with a brown woven fabric strap with old brushed brass finish. The interior, which has two main compartments and is cream color fabric lined, can contain your tablet and diary, making it suitable for various occasions.